Below you will find some of the dates opened for the 2013 season, these dates are available to anyone who wishes to book a seat on one of our Hope to Hells Gate Tours, limited dates are available, for private groups please contact us for availability. 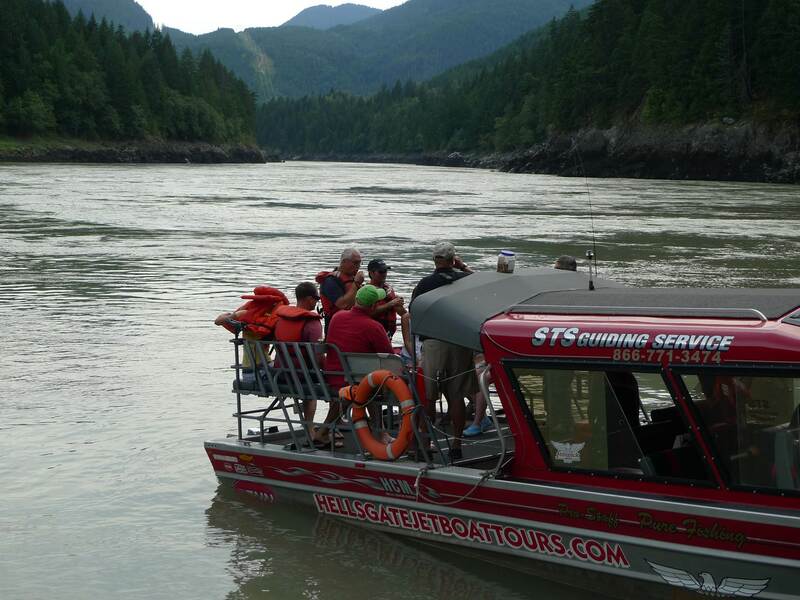 Hells Gate Jet Boat Tours – Our Tours through the Fraser Canyon will begin this spring with first run taking place March 30, 2013. To start the year off we are going to add some sturgeon fishing and a barbeque lunch at no extra charge. Come join us for a spectacular canyon adventure that is truly a bucket list event. Limited dates are available due to our busy guiding season so do not miss out on this years Tours. Hells Gate Tour – March 30, 2013 – Cost for this 4 hour tour is $129 p/p- FREE – additional 2 hours of sturgeon fishing and barbeque lunch. Other available dates – April 27, May 4, 5,18, August 3,4,11,18. You are currently reading 2013 Tour dates released at Hells Gate Jet Boat Tours Blog.